Likud MK Miki Zohar on Lapid and Livni: Leftists who want to topple the right. 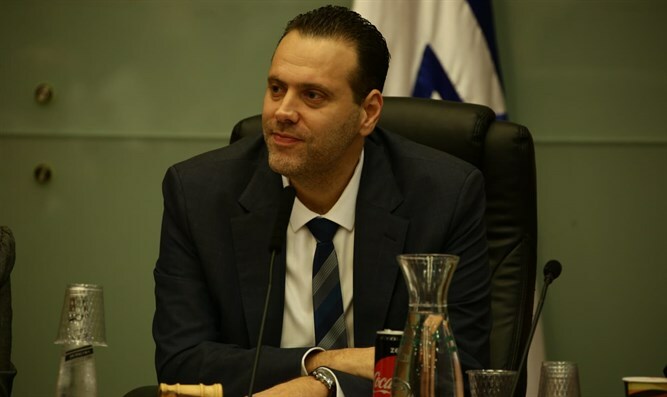 MK Miki Zohar (Likud) on Monday discussed the reports of a possible alliance between Yesh Atid chairman Yair Lapid and Hatnua chairwoman Tzipi Livni in the elections to the 21st Knesset. "We are talking about left-wingers who want to topple the right-wing government. The contacts between Livni and Lapid do not surprise me because they are both leftists and their common denominator is being arrogant over the public. At the moment, the connection between Livni and Lapid does not make them the largest party, they are perhaps worth 15 Knesset seats and do not pose a threat to the right-wing government,” Zohar told Arutz Sheva. "In the end, if there appear to be other connections on the left that can endanger the right, we will have to think about how we preserve the right-wing government," he added. Zohar responded to the remarks of Minister Ayelet Shaked, who wondered whether Prime Minister Binyamin Netanyahu would choose to form a government with former IDF Chief of Staff Benny Gantz and Lapid or with the right. “We will not easily permit connections with parties that are not distinctly right-wing. We will fight in the Likud faction to ensure that we will only be joined by right-wing parties. The government that will be formed will be a national right-wing government in the hope that it will be more right-wing and nationalist," he said.